The estate of someone who’s passed away is adjudicated in probate court. The will and other documents are entered into the record. The executor goes through the process of identifying the creditor with a claim against the estate. Before any assets distributed to the heirs – the estate must first pay its debts. That might include the IRS. 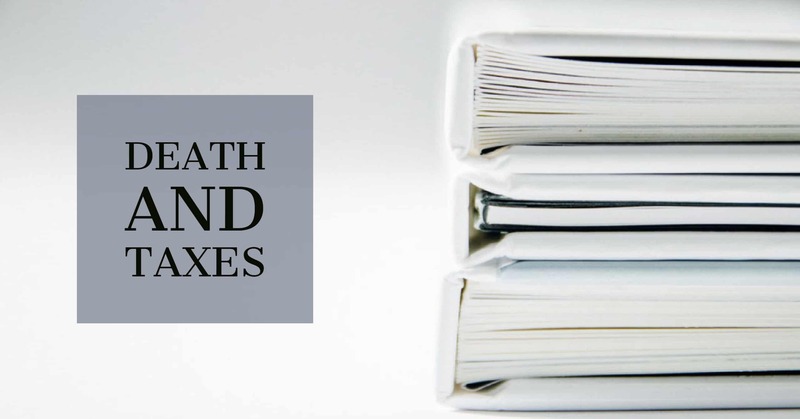 After death, the estate is responsible for filing and paying the deceased state and federal taxes. Personal income taxes need to be submitted one last time for any income generated between the previous filing and the date of death. At that point, the tax burden is shifted to the estate. If the tax is owed, the executor will authorize the payment. The IRS refers to an estate’s executor as the decedent’s representative. Filing the final personal income taxes (federal and state) is the first responsibility of a personal representative. If there is a surviving spouse, he or she can work with the executor to file a joint return. It’s suggested that a tax professional be consulted before anything is filed. It should be noted that a joint return holds the surviving spouse equally responsible for any tax liability. If for some reason the estate is unable to pay the tax in full, the IRS will take action to collect from the surviving party. The next task is to file an employer identification number (EIN) for the estate. Once a person dies, their social security number can’t be applied to estate taxes. The EIN is available at the IRS website and should be applied to taxes and any business activities of the estate or trusts. Some of the assets of the deceased may continue to earn income – stocks, dividends, capital gains. That would also include rental properties, royalties on books or music, even collections of coins or art that increase in value. Lastly, if the value of the estate is large enough, the inheritance can be subject to an estate tax. The valuation of the tax varies, but it typically affects a small number of estates. Want to learn more about navigating the Probate process? Click here. The best starting point for filing the personal income tax return is to look at returns from the past couple of years. If they aren’t readily available, the IRS should be able to provide copies. This will help you to understand the tax structure previously followed. The final personal income tax return can use the same form, with the word “DECEASED” added after the decedent’s name. The taxes must be filed on or before April 15th in the year of or following their death. Only the income earned from the start of the year until the date of death is reported. Sometimes the taxes will be very straightforward. For example, a salaried position with investments in a 401k and mutual fund. The tax law is pretty straightforward in that scenario, but it never hurts to have a tax professional prepare the return. If the estate is financially complicated, it’s strongly suggested that you consider hiring a tax attorney to help you avoid any tax problems in the future. There are multiple types of trusts that can be established during the estate planning process. Assets in a trust are not required to go through probate. The distribution to heirs is determined by the terms created in the trust. Most are not taxable. One type of trust does require action concerning taxes – a revocable living trust. A living trust typically holds property or other assets, and the descendent serves as the trustee. The terms are changeable and can be modified or revoked during the grantor’s lifetime. Any income from assets held in the trust should be claimed on personal income tax. After death, the trust becomes irrevocable and must file for a separate EIN to report ongoing income from the assets. Be aware that though the assets in the trust are not subject to probate, creditors can challenge the trust in court to receive payment. The personal representative is required to file the appropriate individual income tax return and any state income tax returns for the estate during the probate period. Each state has its requirements for filing and the types of taxes they collection. But the executor should pay attention to other taxes that can surface during probate – local taxes for urban areas, property taxes, business taxes or any additional tax unique to your estate. For the most part, states have dropped inheritance, estate and gift taxes for all but the most extensive estates. Even a smaller estate can benefit from the consultation of an attorney or tax professional to make sure there are no errors or liability. When it comes to taxes, ignorance is not bliss. When the someone dies, their debt does not die with them, and that includes back taxes. If a decedent owes federal or state taxes, the estate must assume responsibility for their payment, in addition to filing for the current year. In these cases, the IRS will typically impose a lien on the estate which can stall the probate process until it can be resolved. If state files a claim as well, the complexity deepens, now there are two government entities involved. If the back taxes are disputed, or the estate is unable to pay in full, it may make sense to hire tax attorney or mediator to represent the estate and the surviving spouse. 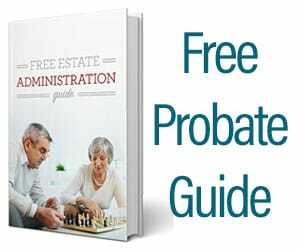 Probate court is where an estate is adjudicated. There are specific rules that must be followed to dispense assets to the designated heirs legally. Though probate law varies by state, it’s pretty much a given that bills are paid first. When the government places a lien on the estate, it takes precedence over every creditor but your mortgage lender. Liens have legal priority protections – your first and second mortgage are the priority, the tax lien is third. That may mean the estate can make the necessary payments on the mortgaged property while deciding how or if to pay the back tax owed. But as long as the lien is unresolved, the estate is in limbo. Assets can’t be distributed, and everyone will be kept waiting for their inheritance. There will be limitations on what can and cannot be paid by the estate. For example, a bill from the marina where a boat is docked, or payment of a car loan may not be allowed until the lien is removed. An individual acting alone would have to step in and make payment to avoid repercussions like a judgment or repossession. There’s only one tax issue that can trump your mortgage loan and the IRS. If municipalities and other governing areas that are owed property taxes always jump to the front of the line. They should be addressed first to free up the ability to pay any mortgage(s) that are attached to assets in the estate. The IRS can hold a surviving spouse accountable for back taxes only if the tax debt occurred in a year where they submitted their taxes as “Married, Filing Jointly.” The status of “Married Filing Separately” will protect the widow from personal responsibility for the tax debt carried by their deceased spouse. But that doesn’t let the estate off the hook. If you’re planning your estate and know you have tax issues or just want to protect your family from a long drawn out probate process, you might consider hiring an experienced probate attorney. Beyond back taxes, there are many ways to protect your assets and keep them out of probate altogether. Federal, state and local government tax law can change on a regular basis. The last thing an executor wants is to create a future tax liability for the family. Reading articles online (including this one) should be considered as research only. Smaller estates may use a summary process to go through probate court – it’s faster and more straightforward. But dealing with the tax requirements for a more massive estate in probate can be a challenging task. The volume of tax concerns, the size of the estate, the complexity of the investments all add up to a complicated return. If probate goes on longer than a year, the court will likely require an accounting. The estate is legally responsible for making sure the taxes are paid, to the extent possible from the assets. A personal representative can face civil and even criminal charges in the event of negligence or tax evasion. If personal representative makes a mistake on the taxes that are discovered after the estate has cleared probate, who carries the liability? Whoever signed the tax forms will be held accountable – the estate ceases to exist once it passes out of probate. The executor should consider hiring a tax professional to provide oversight to manage tax requirements for the estate. It’s in everyone’s best interests.